The series, whose format originated in the U.K., requires individuals to use ingenuity and creativity to complete unusual challenges. 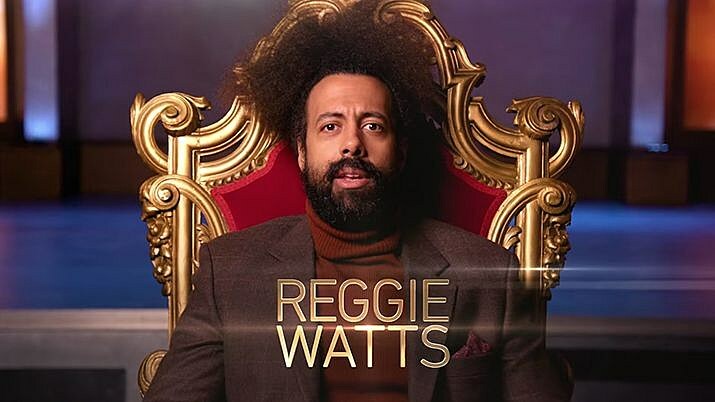 Throughout the season, Watts and his co-host, Alex Horne, judge five unwitting contestants which include Freddie Highmore (The Good Doctor, Bates Motel), Kate Berlant (High Maintenance, Search Party), Dillon Francis (DJ, Record Producer), Lisa Lampanelli (stand-up and insult comic), and Ron Funches (Trolls, Undateable) as they compete independently against each other in a series of stupefying tasks. You can watch the Taskmaster trailer below. Having been a longtime fan of John’s I was completely taken aback when we had the opportunity to meet a while back at one of his LA shows. We exchanged information and kept in touch. Eventually we decided to try something in the studio together. I explained that I love to work improvisationally and quickly in the moment. John fortunately has a fast mind and also works in this way so as soon as we started recording it just worked immediately; me being able to just flow what was in my head in response to his music and him locking onto that and crafting something great around/with it. It’s been such a fun experience brief and yet prolific as the partnership continues. I’m so excited to finally release music that I think will inspire people to move and expand on the dance floor or groove in their headphones. I believe Wajatta is that culminative experience!! You can listen to Wajatta’s first single, “Runnin’,” below. Finally, Reggie was on this week’s edition of Rhett & Link‘s YouTube show Good Mythical Morning where he was a contestant on their game “Which Musician Am I?” and you can watch that below.